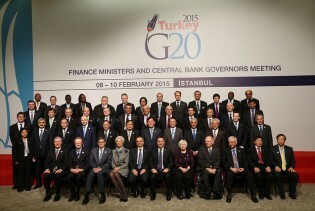 Finance ministers and central bank governors of the world’s 20 major economies, accounting for 66 percent of world population, have pledged to “promote an enabling global economic environment for developing countries as they pursue their sustainable development agendas”. Award-winning St. Lucian poet and playwright Kendel Hippolyte thinks that Caribbean nationals should view the Earth as their mother. Renewable energy is now being seen by many people around the world as a cost-effective development solution both for developed and developing nations. Countries have slowly been realising that the use of coal and the huge amount of carbon emissions it generates harms the environment and impacts our daily activities. This week, U.S. President Barack Obama formally unveiled the details of his Clean Power Plan (CPP), a comprehensive carbon-cutting strategy he described as “the biggest and most important step…ever taken to combat climate change” in a prior video address posted on Facebook. A diverse coalition of 24 leading British scientific institutions has issued a communique urging strong and immediate government action at the U.N. climate change conference set for Paris in December. For decades, executives and decision makers at major U.S. and European fossil fuel companies were aware that carbon dioxide (CO2) emissions caused global warming, but still provided millions in funding to boost disinformation campaigns and sponsor scientists who denied climate change. The world at large is apparently divided over what constitutes the biggest single threat to human kind: the devastation caused by climate change or the unbridled terror unleashed by the Islamic State of Iraq and Syria (ISIS)? According to a new Pew Research Center survey designed to measure perceptions of international threats, climate change is viewed as the “top concern” by people around the world. The Association of Southeast Asian Nations (ASEAN) started as a cooperation bloc in 1968. Founded by five countries - Thailand, Singapore, Malaysia, Indonesia and the Philippines - ASEAN has since evolved into a regional force which is slowly changing the landscape in global politics. Up to 96 percent of the emissions reductions needed by 2030 to keep global warming below a critical threshold of two degrees C could be achieved through a series of 10 steps, says a new report released by the Global Commission on the Economy and the Climate. The most devastating impact of climate change – including rising sea levels, floods, cyclones and both droughts and heavy monsoons – will be felt mostly by the world’s poorest nations. If global carbon dioxide emissions are not dramatically curbed, the world's oceans – and the many services they provide humanity – will suffer "massive and mostly irreversible impacts," researchers warned in Science magazine Friday. Environmental groups are praising China following the formal submission of Beijing’s highly-anticipated climate change strategy to the United Nations Tuesday. When the 193-member General Assembly hosted a high level meeting on climate change Monday, Secretary-General Ban Ki-moon warned that any proposed agreement at an upcoming international conference in Paris in December must uphold the principle of equity. On June 18, Pope Francis issued Laudato Si, the first ever encyclical about ecology, which promises to be a highly influential document for years to come. The encyclical, which is the most authoritative teaching document a Pope can issue, delivered a strong message addressing the moral dimension of the severe ecological crisis we have caused with our “throwaway culture” and general disregard for our common home, the Earth. As a young person interested in development, my heart beats a little faster when I look at the potential of 2015. There has never been so much at stake as this year for the future of our planet. Natural disasters have become a fact of life for millions around the world, and the future forecast is only getting worse.